The best people leaders are positive and constructive through their interactions with others. People leaders believe in the capacity of their work teams to create successful outcomes for their organization. As a result, they encourage others and appreciate their efforts. Positive leadership expresses a “can do” attitude. Leaders believe their employees will make something good happen. This is an optimistic perspective; one that is positive about possibilities for accomplishment. “Let’s make it happen, I know we can, we will succeed.” It is also a realistic awareness that only great work will pull off a challenging enterprise. People leaders are constructive in that they believe people can learn, grow, and do what needs to be done. They are squarely behind their team. So when they see opportunities they participate as one of the team. And when they do see something going wrong, they want it fixed. They want to learn from problems and do better. They are not personally critical, attacking or judgmental of others or themselves. It is all about objective problem-solving. Leaders know how to let the organizational structure impersonally address problematic performance. So, through performance reviews, everyone is aware of how they are doing in meeting expectations. When the system of performance guidelines catches problems, then leaders can encourage and cheer on improvement. Great leaders build structure so that high performance can occur. The structure both rewards successful performance and catches inadequate performance. Leaders are intuitively personal about backing the successes of their team members. They show excitement both for the person and the contribution to the organization. Of course, it also helps greatly if leaders can arrange material rewards in addition to the personal ones. While the foundation of leadership for the people side of business is in the support provided, the key to leaders bringing others to achieve goals is in the structure they insist on building. Leaders make sure everyone keeps their eyes on the prize; that everyone works toward the desired outcomes of the organization. There are several ways that leaders focus everyone on those outcomes. First, they insist that goals be carefully defined, for example by developing a strategic plan. Second, they build structural elements, like policies and procedures. These elements guide operations toward the determined goals. Third, they foster a culture that holds everyone accountable to achieving those goals. Leaders work to have directional questions answered. They want people to think about where they are going and how they are going to get there, especially in creative and efficient ways. This strategic focus orients everyone to be thinking about the process of achieving outcomes. They don’t hand their staff a blueprint, but work closely with them to determine high performance outcomes. This kind of leadership conveys that achieving goals will take ongoing creative thinking. Structural elements are clear rules and performance standards for all staff members and the business. This includes defining the rules of the game: the policies and procedures. With a guiding framework people understand how best to operate. 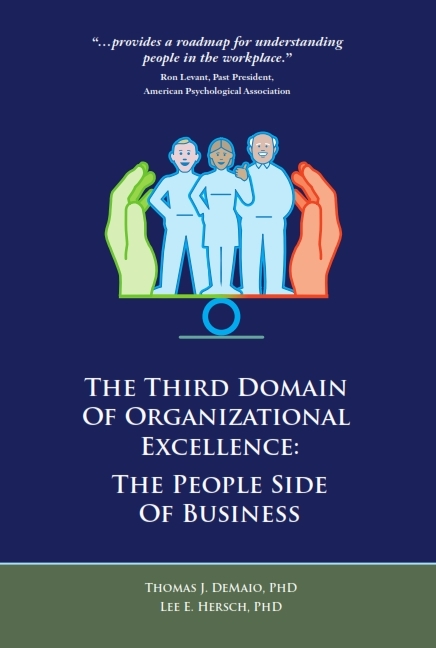 Additionally, building structure includes defining the outcomes for each person in the organization. Everyone has a purpose in terms of achieving some component of the organization’s success. Consequently everyone knows what they are supposed to be doing and how they are contributing. Finally, leaders build a culture that holds everyone accountable to the mission of the organization. It filters down through the organization that each person needs to perform well for the organization to come out on top. This is not a punitive system, but a measure of work success. Everyone is important. Leadership that provides great support, and a counterbalance of structure, is the type most likely to maximize worker satisfaction while simultaneously producing great results. One of the most important components of leadership is being a role model. You can’t be a great leader if you don’t practice what you preach. Leaders have to be willing to learn and grow themselves. Being a leader role model goes beyond just being willing to take a few courses and read a few books. Supporting the growth and development of employees means learning alongside your them, encouraging some risk-taking, and tolerating mistakes without judgment. People are certainly worried about failure and rejection that come with making mistakes. They are incredibly frightened about doing it in front of their boss. This isn’t just a fear of being fired; it is the fear of failing in front of a parent figure. That’s hard. So when you as the leader ask for help, or allow yourself to be informed/corrected, you convey that there is acceptance for others and their learning. You foster a willingness to look for answers outside the box instead of something tried and true. Your organization will set the world on fire only if staff takes new and novel approaches to problem solving. Fostering growth also means you have a recognition that people need time and energy to grow. Not only do employees need time to participate in training, but they time to stay in control of their personal lives by maintaining a decent work/life balance. When people are forced to sacrifice their personal lives for work, they will do only the minimum needed, not the maximum a high performance organization demands. Leaders protect their employees from pressures to work at the expense of a balanced life. It is not just about work policies, but about a culture which supports and encourages healthy living. Leaders who live balanced lives, ones that include ongoing growth and development, will gain a strong following among their employees. Being a great role model leader pays off for everyone in the organization, including you.